vision. Values. communication. Visual identity. A strong brand makes you recognisable and sets you apart from the crowd. It’s about your values. Your DNA. What it means to trade with you. It’s way more than just your business name, your logo and a catchy tag-line. Although, you need these too, right? We love getting our teeth stuck into creating logo and branding concepts. It’s SOOO satisfying when it all comes together and we see get excited about the look and feel of their business. If you’re launching a something new and need a brand identity? We gotcha covered. Own an established business that’s looking a bit tired? Bring it! Be confident that you’ll get a logo you love, all the design files you’ll ever need, and a comprehensive Style Guide so you know EXACTLY how to keep your branding schmick and consistent, whatever you’re doing. 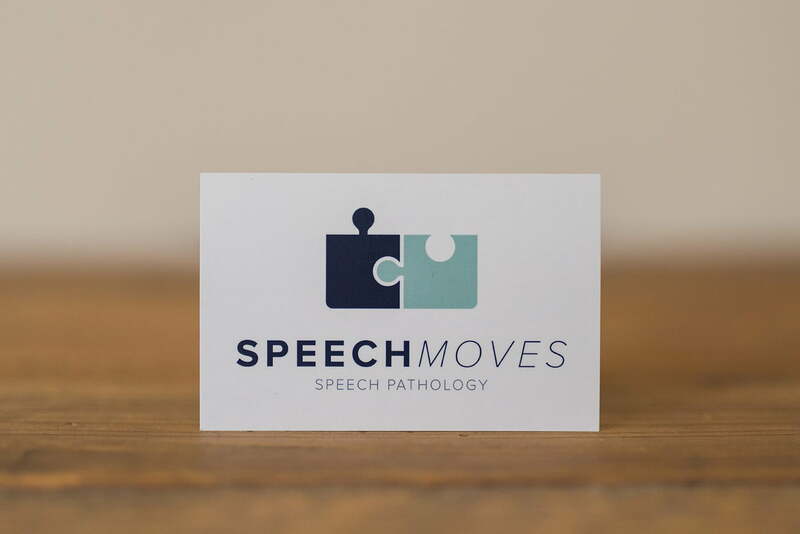 Speech Moves Speech Pathology received beautifully designed DL flyers and business cards to promote their services. Layered Home needed some signage to reflect their custom furniture offering. We were able to create unique canvas banners featuring illustrations of each product. TMT Industries had a strong existing visual identity, but needed to reflect that with business cards that communicated their services clearly. 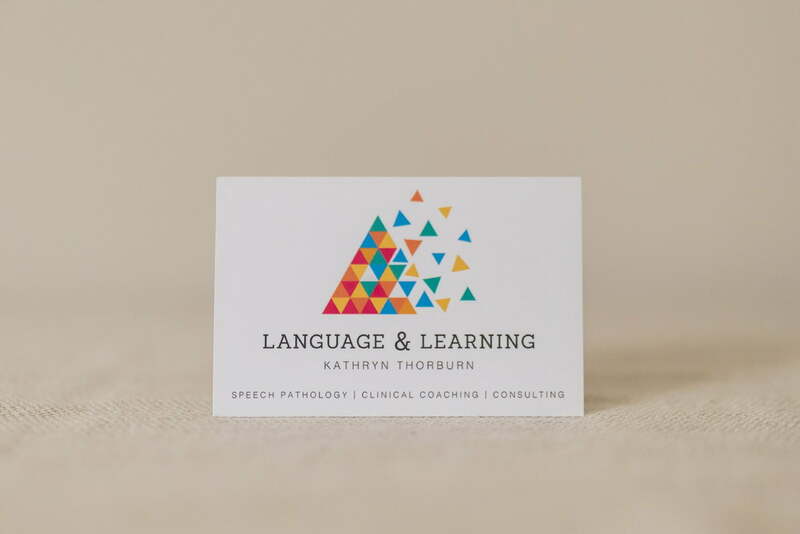 Kathryn has a bright, positive, creative approach to speech pathology and consulting and she needed a logo that reflected her out-of-the-box thinking and forward momentum. 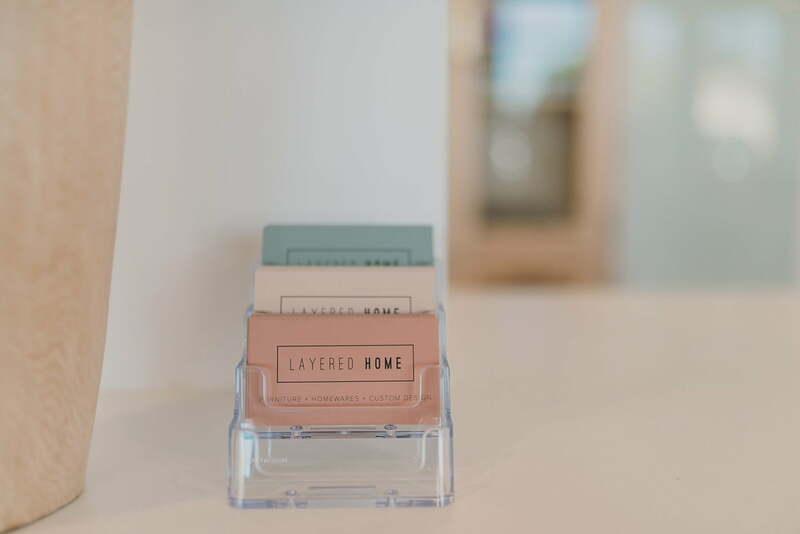 Targeted to a high-end market, the logo for Layered Home needed to be clean, sophisticated and work with any colour, texture or home-wares item in the store. 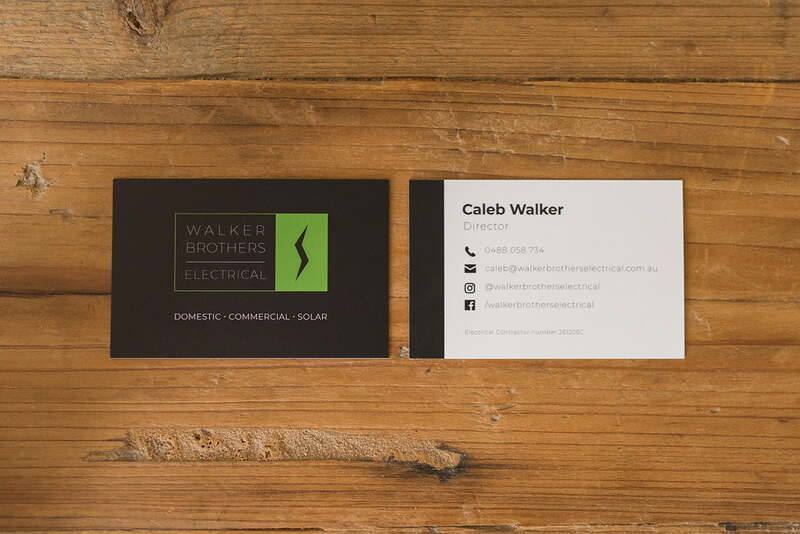 And we even printed business cards in three different colours so clients could choose which one they liked best. Speech and language are the building blocks of child development and there’s always room for growth. Tricia chose a calm colour scheme to reflect her beach-side location. It’s fun working with start-ups who are dipping their toe into business. These guys wanted a professional brand that gives them room to pivot in the future, depending on the direction the business takes.